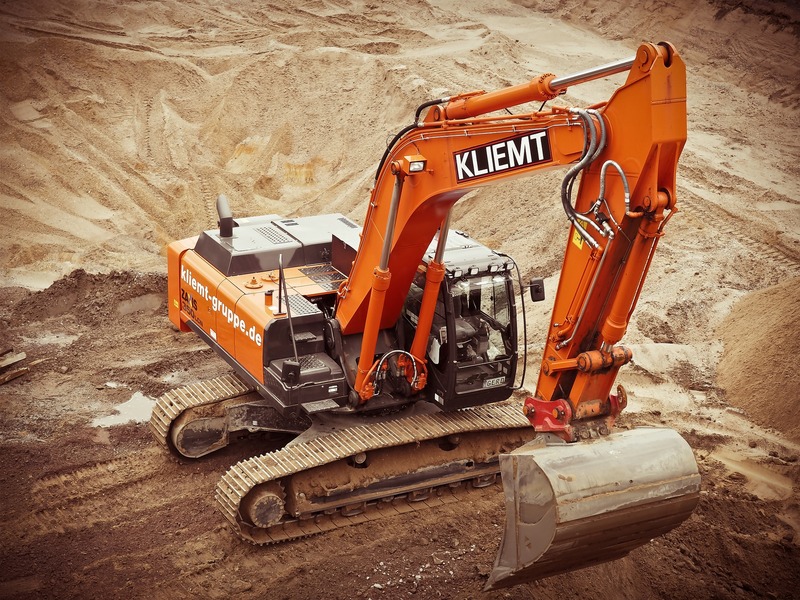 There are many types of plant hire that are particularly beneficial to construction projects, but the ones we have listed below are the most common. Get to know what the various plant hire and heavy machinery options are and what’s available to you so that you can find the best equipment for your next project. With over 30 years spent in the construction and plant hire industry, we have been providing our customers with high-quality services and products they can trust. No matter how big or small the construction job you’re working on is, we have the right plant hire just for you! Excavators are a large and very common piece of construction equipment and are considered a standard must-have in the industry. A heavy piece of construction equipment, excavators consist of a boom, dipper, bucket, and cab and all of this sits on top of a rotating platform known as the ‘house’. The house sits on top of an undercarriage where the excavator wheels are, making it easy for the excavator to move around on the construction site. A traditional excavator has a long bucket arm that is attached to a pivoting cab so that it can rotate a full 360 degrees. The operator of the excavator sits in the cub and from there is able to have full visibility of the site while they dig up dirt or lift heavy pieces. You don’t need to worry about maintenance, insurance, or storage. You can return it to the hiring company when you’ve finished your project. Hiring an excavator is cost-effective. Training on how to use the equipment. We are proud to provide our customers with the very best excavators available. We believe that having high-quality plant hire really does make all the difference to your project, which is why we only stock excavator brands that we personally use and trust. So, if you would like to hire an excavator for your next project, we would be more than happy to help! If you don’t know what a backhoe wheel loader is, think of a tractor but with one noticeable difference: backhoes contain an adjustable shovel at the front and a small bucket at the back used for digging. How Does a Backhoe Loader Work? Ideal for smaller jobs with limited space for plant operation, back-hoe loaders are able to move dirt, dig trenches, place small pipes into place, and back-fill. What’s more, backhoe wheel loaders are tire mounted so can be used in urbanised areas and the bucket can be modified using different attachments allowing you to dig trenches of different sizes. Smaller construction projects where other equipment can’t fit. If you have a big construction project you’re working on, it may be that you need the help of a backhoe loader to get the job done. The benefits of backhoe loaders are numerous and you’d be silly not to hire one for your construction project. If you would like to know more about hiring backhoe loaders, please do not hesitate to get in touch with the Mteevan Hire team today. Considered to be one of the strongest and most reliable heavy equipment used in construction, bulldozers are extremely powerful. Among other actions, the weight of a bulldozer can be used to crush large boulders. Bulldozers work to move dirt along large open tracts of land. There are two main parts to a bulldozer, the blade and the ripper. The blade of a bulldozer is what pushes debris away from the construction site. Because the bulldozer is strong and heavy, the blade remains against the ground. This means it can move sand and stones without missing any objects. The ripper part of the bulldozer is situated at the back of the machine and works to break up rocks, gravel, and hard ground so that the blade can move it away. A bulldozer can be easily operated using two hydraulic pistons that allow the blade to be moved in limited angles or depths. Bulldozers are made for pushing large quantities of soil, rubble, and debris to a designated spot during construction. This avoids problems of rubbish building up and getting in the way of construction work and also helps keep the site clear and free from potential hazards. Heavy and strong, so perfect for clearing construction sites. Able to work on tough terrain because of the grips on their tracks. The tracks help spread the bulldozer’s weight evenly so that it does not become submerged in mud or on uneven terrains. Bulldozers are one of the most beneficial pieces of plant hire equipment. Their strength and efficiency can really speed up the process of your construction project. 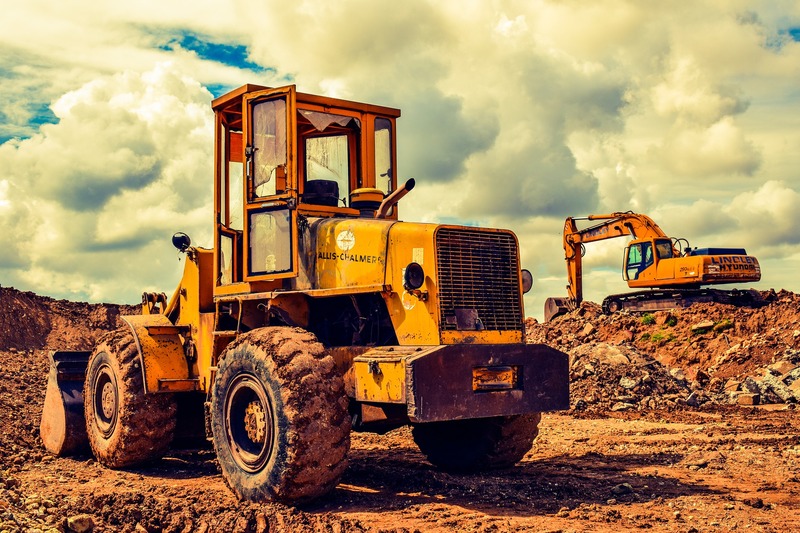 If you are interested in knowing more about bulldozers and why they would be great for your construction site, please do not hesitate to get in touch. We would be more than happy to discuss your options with you and advise on the best bulldozer! 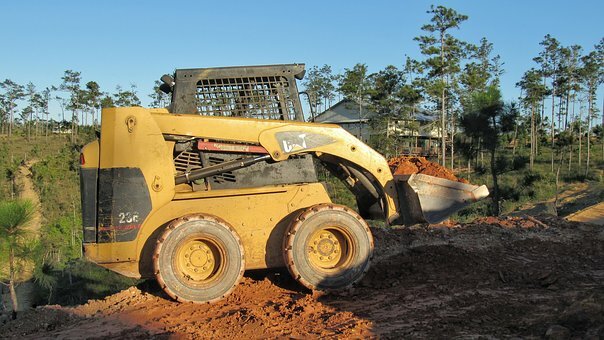 If you’ve worked on any commercial construction sites or landscaping projects, it’s likely you’ll know about skid-steer loaders and what they can do. These small loaders are ideal for smaller project and are able to operate well in tight spaces. What’s more, their light weight allows them to be easily towed behind a full-size pick-up truck. How Do Skid-Steer Loaders Work? One of the most versatile machines available in the construction industry, skid-steer loaders are ideal for use in confined spaces or where construction activity has been finalised. Simple to use, skid-steer loaders can turn back on their own footprint, just like a tank would and their wheels offer increased traction, making them ideal for use in snow or mud. What Are Skid-Steer Loaders Made for? Skid-steer loaders are made for digging up and moving landscaping or building materials from one area to another. Using different attachments, skid-steer loaders can perform a wide variety of tasks, anything from demolition and debris removal through to excavation. And what’s best about skid-steer loaders is that their compact size makes them ideal for use indoors or in spaces where other applications or larger equipment would not fit. Smaller size and lighter weight is what makes the skid-steer loader able to work in small and confined spaces with ease. Different attachments can be used depending on the requirements of the job. Skid-steer loaders provide fantastic visibility when using the machine, unlike bigger pieces of equipment where the view can often be limited. If you like the sound of a skid-steer loader for your next project, why not give us a call today? We would be more than happy to talk through your plant hire requirements and help you find a skid-steer loader that is perfect for your next construction project. Heavy pieces of equipment used for moving small amounts of dirt, motor graders have a long blade that can be adjusted. This piece of equipment normally has a second blade in front of the front axle that can be used for underground mining. Motor graders are most commonly used to prepare the base before placing down asphalt. How Do Motor Graders Work? A motor grader works by using a long blade to create a flat surface. The motor grader helps create a flat surface so that a road or a walkway can be built on top of it. This essential equipment can be used both for creating flat surfaces before roads are laid or for ploughing snow! Motor graders are most commonly used for grading, shaping, mixing, spreading, levelling, and flattening surfaces and they do a great job at it, too! 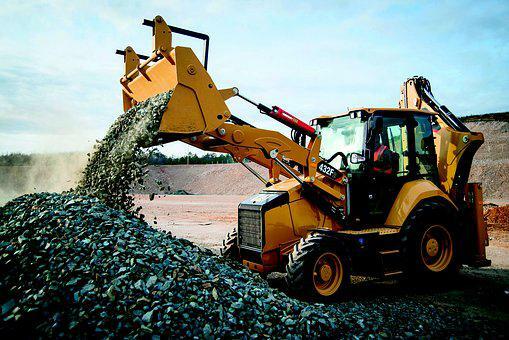 What are the Benefits of Motor Graders? Effective for large projects that require detail and precision. A bulldozer does not provide the precision and accuracy that a motor grader does. With our plant hire services, you can hire a motor grader today for the fraction of a price you’d pay to buy! Call our team today and find out about our motor grader hiring options and what we can offer you. We’d be more than happy to answer any questions you may have. Combining the capabilities of both an excavator and a backhoe, the crawler loader helps increase your production when you’re hauling material on or off-site. And because crawler loaders are track mounted, they can easily move around. How Do Crawler Loaders Work? As the name suggests, a crawler loader travels by crawling and it does this on tracks. The type of tracks the crawler moves on depends entirely on the surface it will be driving on. The crawler loader itself is hydrostatically driven, which means that the entire motor is powered by hydraulics. This makes the crawler loader very simple to use and helps simplify the operation significantly. The buckets and lifting arms are also powered by hydraulics. What are Crawler Loaders Used for? The job of a trawler loader is quite simple really. It is used for digging and loading materials on a construction site. This powerful machine can dig significant areas and even load the excess away. What are the Benefits of Crawler Wheel Loaders? Good manoeuvrability for confined working spaces. Hire a Crawler Loader Today! If you would like to know more about crawler loaders and how they can help simplify your construction project, call us today. Our team would be more than happy to discuss your requirements and suggest the best crawler loader to hire for you. A trencher is a piece of construction equipment used specifically to dig trenches. There are a variety of trencher models available to hire, from walk-behinds to small operated trenchers or heavy trenching equipment, you choose what would suit you best. A trencher paves the way for electrical cables, pipes, and drainage to be installed. Trenchers use a metal chain with teeth made of high-strength steel to cut into the ground just in the same way a chainsaw would into a tree. Similar to the way a trencher works, trenchers rip up the soil and any rots in the way to dig a trench. This can save a huge amount of time, as the time it takes a trencher to dig a trench is significantly faster than several workers digging by hand. What are Trenchers Used for? As the name suggests, this piece of equipment is used to dig trenches so that pipes can be laid down. Trenchers are able to use different digging implements depending on how deep they need to dig and how hard the material is that needs to be cut. Trenchers are very dangerous pieces of equipment, so must always be handled with care. Hire a trencher for your next construction project today. Whether you need to lay drainage or electrical cables, hiring a trencher will make the process significantly faster and more accurate. There are so many options when it comes to plant hire and every construction site and project is different. So, it is important to analyse your construction site to make sure the right heavy equipment is being used and the operation maximised. Hire with Mteevan and discover for yourself why construction companies use plant hire to get their projects done. You don’t need to maintain or clean the equipment – we do that! If you’ve never considered plant hire before for your construction site, why not? We are proud to provide a huge variety of equipment for hire and even if we don’t have what you’re looking for, we will help you find it elsewhere. For the best plant hire service in the UK, call our team at Mteevan today!